For the mostpart the following definitions are nearly identical, yet have distinctly separate definitions because maintaining the accuracy of their meanings is important. Please also see our research references for relevant academic and non-academic sources. 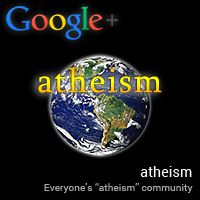 Absence (rather than opposition) is indicated by the "a-" prefix, meaning "without," hence "atheism" is therefore concisely characterized as "without theism." The word "atheism" originated from the Ancient Greek word "ἄθεος"4 ("átheos") meaning "godless" or, to emphasize it more generally, "without deities." Since the "atheism" classification is not justified by claims for or against theistic or anti-theistic positions, the burden of proof is not applicable. Although it's certainly possible to have reasons for choosing atheism, such justification is not necessary. 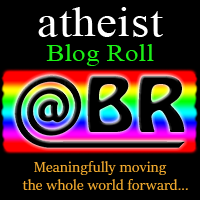 Assuming that ¬ = is not, B = believing, and D = deities, atheism is logically characterized as "¬BD = not believing in deities" which is equivalent to "absence of belief in deities." For the sake of completeness, and due to the wide-spectrum of theistic deity-dependent concepts (including supernatural agents - such as angels and demons - which don't qualify as goddesses or gods), "atheism" may also consequently be classified implicitly as the "absence of belief in deities and [theistic deity-dependent] supernatural agents." 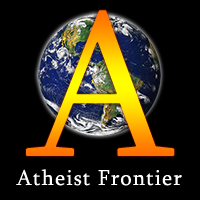 Absence (rather than opposition) is indicated by the "a-" prefix, meaning "without," hence an "atheist" is therefore concisely characterized as "not a theist." The word "atheist" originated from the Ancient Greek word "ἄθεος"4 ("átheos") meaning "godless" or, to emphasize it more generally, "without deities." 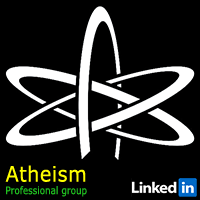 Since the "atheism" classification is not justified by claims for or against theistic or anti-theistic positions, the burden of proof does not apply to atheists. Although it's certainly possible to have reasons for choosing to be an atheist, such justification is not necessary. Assuming that ¬ = is not, B = believing, and D = deities, an atheist is logically characterized as "¬BD = not believing in deities" which is equivalent to being "absent of belief in deities." For the sake of completeness, and due to the wide-spectrum of theistic deity-dependent concepts (including supernatural agents - such as angels and demons - which don't qualify as goddesses or gods), an "atheist" may also consequently be classified implicitly as being "absent of belief in deities and [theistic deity-dependent] supernatural agents." Please also follow us on Google+.